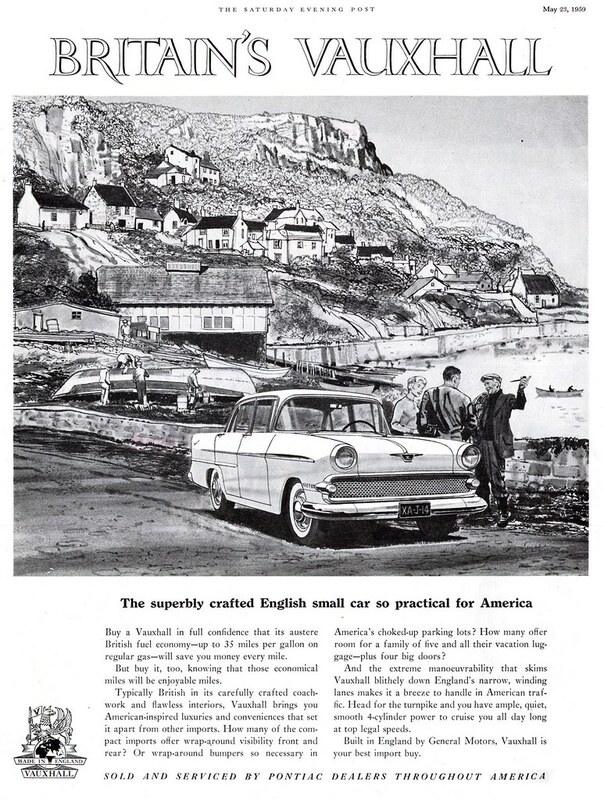 All of a sudden, in 1959, this series of beautifully drawn auto ads featuring the British Vauxhall began appearing in the back pages of The Saturday Evening Post. When I first spotted one of these ads I immediately thought, "Wow... Robert Fawcett did auto advertising!" 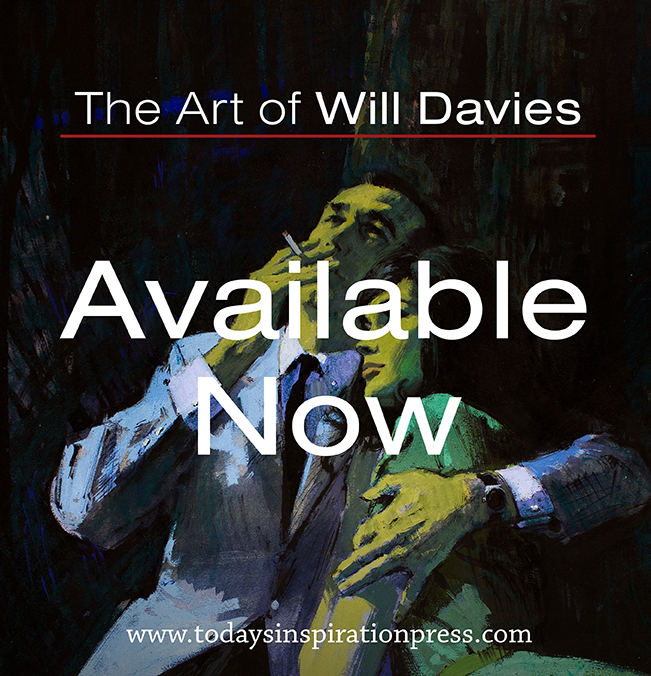 Many aspects of the drawing seemed similar in style and quality to Fawcett's - or perhaps Austin Briggs' - work. But looking closely, I discovered an unknown signature... as best as I can tell it reads "B. Joulou". A while later I came across a second Vauxhall ad -- this one with what looks like the name "Allan" signed near the bottom right corner, though the style once again shows that Fawcett-like integrity and is to my eye indistinguishable from the first piece. 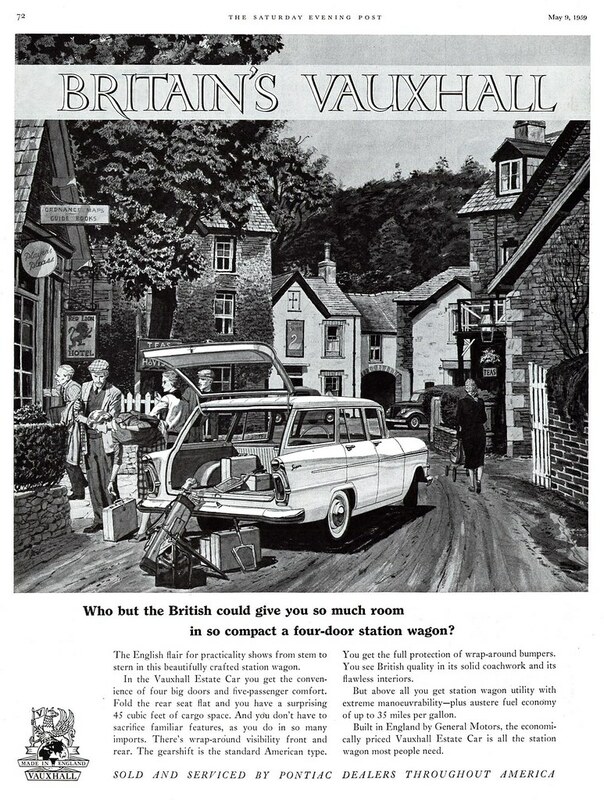 Then most recently I came across a third Vauxhall ad. No signature at all on this illustration but once again its done in that lovely style so reminiscent of Fawcett's work. I can only conclude that the artwork for all these ads was done by some very accomplished British or European illustrators with whom we are entirely unfamiliar. But wow! -- what tremendous work they did. 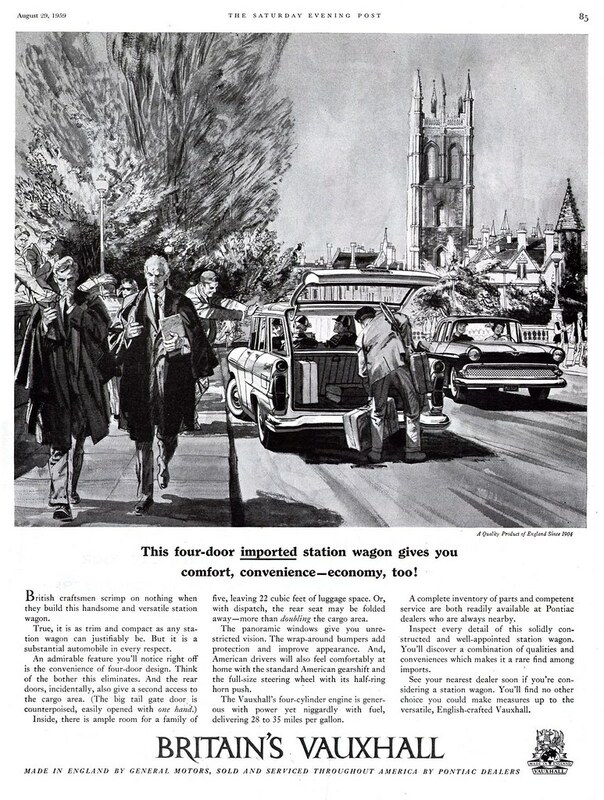 And such an entirely different approach to the look of North American auto advertising. You really need to scrutinize these images at full size. they've been added to my Auto Ads Flickr set. When I saw these illustrations before reading the text, my first thought was "Cool! Some new Fawcett art to add to my files!" These definitely fooled me, too. Too bad we don't know who these artists are - I'd love to see more of their work. Thanks for sharing them! Thanks for your comment, Michael! I'm glad I wasn't the only one who got that impression. I guess this is just a small reminder that a lot of talented illustrators were out there, waiting for us to discover their efforts. Hopefully someone with more information on these artists will get in touch! and will send it to you. They are all very well done, you don't see ads like this anymore and its a shame. There is so many good artists out there people could make ads that are once again worth looking at, I hate modern ads.